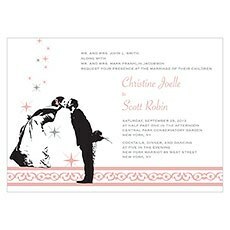 We understand that you have a lot on your plate with wedding day prep - but your customized, printed wedding invitations should be the last thing to stress you out! 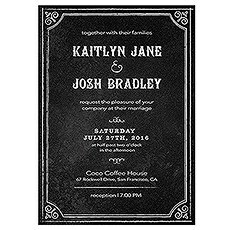 When you choose quality digital printed wedding invitations from The Knot Shop, you are putting your wedding invitation needs in good hands. 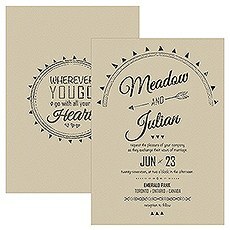 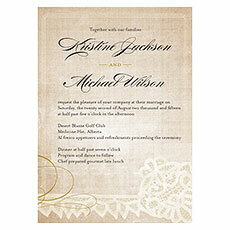 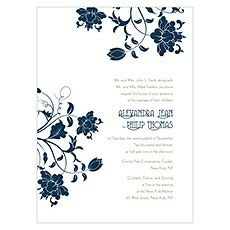 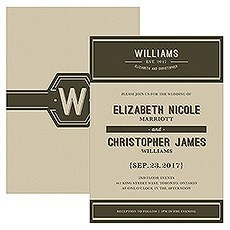 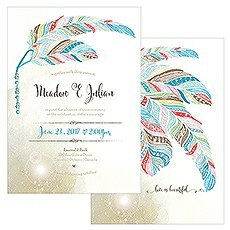 Let us take wedding invitations off your plate - we will take care of these details. 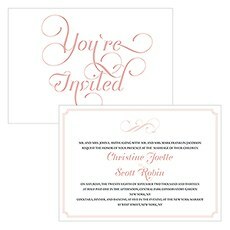 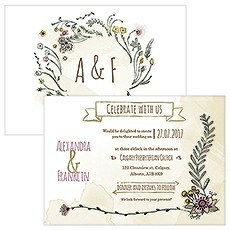 We guarantee you won't be disappointed in the results - choose from fully customized wedding programs and invitations that are individually created and designed to show off your personality and sense of style.Your print wedding invitations will indeed be a reflection of you when you choose from our huge variety of colors, fonts, shapes and designs. 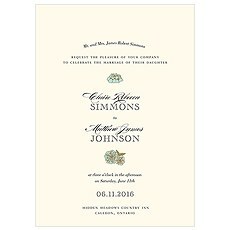 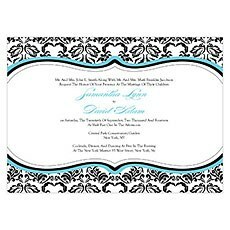 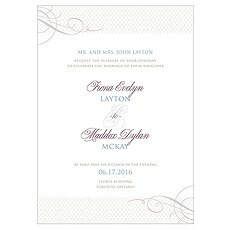 You will love our classic designs such as damask style, classic script, lovely floral and magnificently monogrammed invitations. 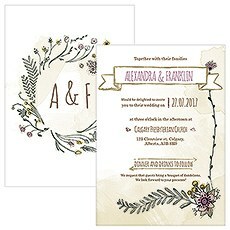 Bring out the rustic charm of your relationship with our rustic designs, available in many different colors. 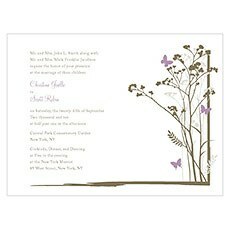 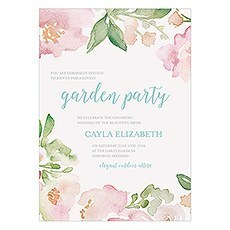 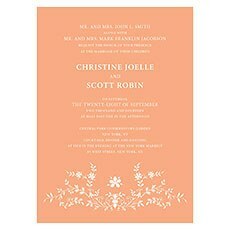 Or choose to focus on the season, with floral invitation motifs that will symbolize the season in which you are saying your vows.Not sure which wedding invitation to choose? 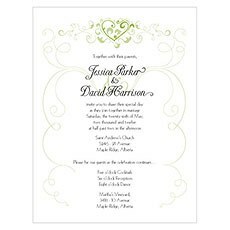 Create cards and see how they look either online or create a sample batch that you can have printed off and sent to you - ask for the input of your family and friends before you dive in with a large order. 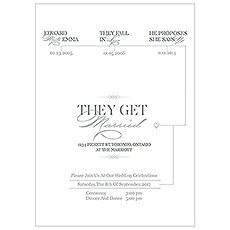 We want you to be 100 percent satisfied with your customized wedding programs and print wedding invitations from The Knot Shop.Your sample pack will include a printed wedding invitation and a selection of related stationery pieces for suggestions to coordinate your invitation style with other items - RSVP and save-the-date cards can be purchased to match the wedding invitation design you choose when you buy them from The Knot Shop. 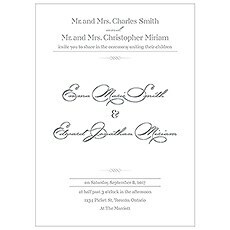 "Brilliant White" envelopes will accompany your order as well.All of our invitations are flat printed with digital technology on solidly constructed quality cardstock. 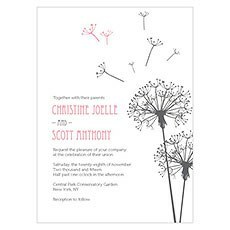 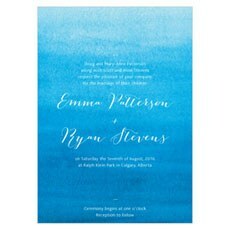 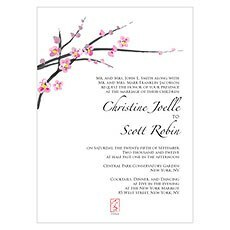 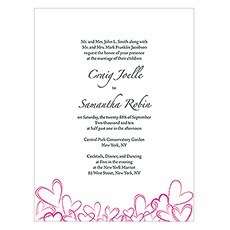 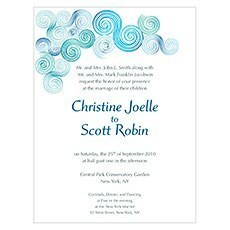 Don't pay more for personalized wedding invitations from anyone else - you will be delighted with print wedding invitations from The Knot Shop.